Loud and Clear's Brian Becker was joined by Max Blumenthal, an award-winning Jewish author and journalist who has frequently criticized Israel and the US' relationship with Israel. He gained notoriety in 2016 when he called Holocaust survivor and political activist Elie Wiesel "a supporter of [war crimes]" who "should not be honored" after the latter's death. ​According to Blumenthal, Netanyahu "wouldn't want to kind of pile on when the president's at one of his weakest points after this 'both sides' take on what happened in Charlottesville, where hundreds of Neo-nazis and white supremacists were filmed chanting 'Jews will not replace us'. You would think that this would be something Netanyahu would want to at least exploit for the purposes of soft power, because Israel is losing a lot of support from Jews in the diaspora — particularly liberal Jews, who are terrified and upset by what they see in Charlottesville." "In the Likud party … there's a recognition that anti-Semitism in the world might be something bad, it might be uncomfortable, but the real issue is maintaining the direct line and special relationship with Washington: getting that $4 billion in military aid every year." Blumenthal claims that many American Jews were made uncomfortable "when they see what's happening in Charlottesville, and then they see the response from the Israeli prime minister — which is no response at all. This not only raises questions in their mind about whether Israel actually exists to protect them, and what the purpose of Zionism is — it deepens a preexisting suspicion and skepticism, if not total opposition, to the project of a Jewish state in historic Palestine." "There are Pew polls [that] show that, for example, most self-identified liberal Democrats do not favor Israel over Palestine. [There] is a poll in 2016 that showed that number for the first time that's the base of Bernie Sanders supporters: what centrist Democrats might call the alt-left. And then you look at polls of younger Jews: most do not believe Israel wants peace, most do not believe that Netanyahu is a peacemaker, and increasing numbers do not favor Israel over the Palestinians." The Pew Poll in question found that 7 percent of liberal Democrats sympathized with Palestine over Israel, compared to support for Israel over Palestine by a margin of 34 percent among moderate Democrats, 52 percent among moderate Republicans and 75 percent among conservative Republicans favored Israel over Palestine. So while for the first time since 2001, a segment of the Democratic Party supported Palestine over Israel, and on the other side, all three categories supported Israel by the greatest margins recorded by Pew since they began the survey. Israel is going to end up in the strange position of having strong support from Americans who also seem tepid on white supremacy, Blumenthal forecast. "You can pretty much predict who is going to support Israel going forward and that's Trump's base, that's the Republican Party. 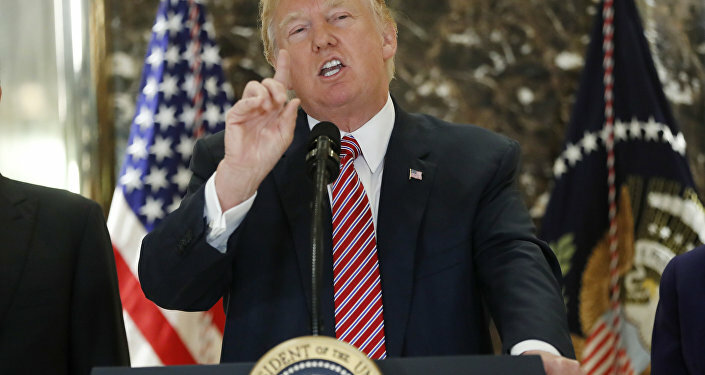 A poll just came out today from Survey Monkey that showed that a majority of Republicans, a vast majority, I think we're talking about like 65 percent, supported Trump's statement that you just played on Charlottesville. That is also the future of base of support for Israel the United States." "It seems to me [Trump supporters are] emerging as a fascist base," Becker opined. "I mean it's not fully formed fascism, but shared values … [I]t seems to me that once Israel completely loses its legitimacy as simply the safe haven for Jews … [it's] identified with simply an ultra-right political formation here." "I would say that Israel is not entirely unique in the harm that it does to the Middle East," Blumenthal concluded. "I don't like to use the word 'evil', but it's not uniquely evil. It's sort of the most extreme mask of ourselves and it's a very extreme mask of neo-liberalism. 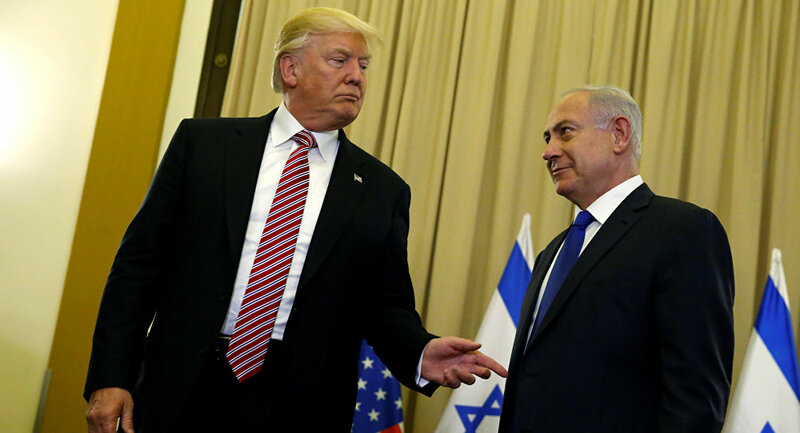 Israel survives off of the special relationship with the United States, which is largely predicated these days on a policy that has nothing to do with Jewishness or being Jewish or any particular value. It has to do with $4 billion of loans they get paid."